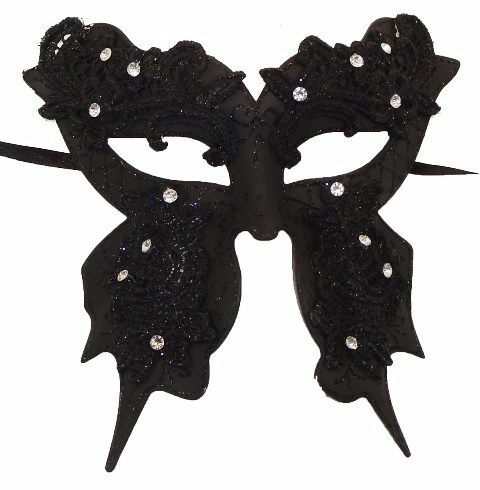 This intricate detailed butterfly mask is beautifully hand done with lace applique, jewels & glitter. Core is made out of lightweight molded plastic. Has ribbon ties for easy wear.